I am not the biggest Alexander Payne fan. A lot of people love his movies but I find them a little twee at times and lacking a strong through line. I thoroughly enjoyed Sideways but I think that may have been down to the pairing of Paul Giamatti and Thomas Haden-Church, but I felt tepid about About Schmidt and The Descendants, which people loved. 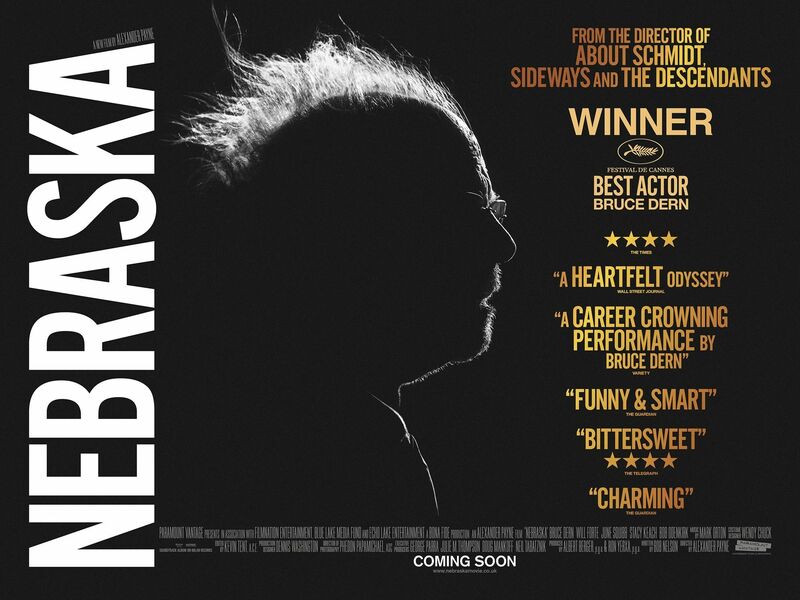 This is by no means a terrible film, it is entertaining (Oscar worthy, not sure), Bruce Dern is great, as he always is but somethings-a missing for me. Maybe it’s the fact that I have absolutely no connection to that part of the world but in the same breath if a story is told well……. It reminds me of Sunday evening TV, specifically aimed at the older demographic. If most of the reality nonsense is aimed at the youth-dem then this fare is a bigger budget version of the ITV and BBC Sunday night shows, Marple, Poirot, Sherlock (to an extent, although that is aimed at the kids as well), A Touch of Frost etc etc. Reasonably well made but containing nothing that I am at all interested in. Maybe this is a little harsh but s’how I feel so deal. June Squibb was excellent and gets to deliver all the cracking lines, Will Forte and Bob Odenkirk were alright, nice to see Stacy Keach after a few years, he embodied his character with the right amount of life and opinion. All in all a movie for the valium generation.